Over 60 Percent Plan to Hire in 2018; Challenger Job Seeker Call-In Days | Challenger, Gray & Christmas, Inc.
For the 32nd consecutive year, job seeking Americans will be able to obtain free advice from the professional career transition coaches at global outplacement firm Challenger, Gray & Christmas, Inc., which will suspend normal business operations for two days over the holidays to provide the service. The annual job-search call-in will be held Wednesday December 27, and Thursday, December 28, from 9:00 a.m. to 5:00 p.m. CT. The telephone number is 312-422-5010. Job seekers can get more information about the call-in at firm’s website (http://www.challengergray.com/tags/job-seeker-call). Forty-two percent of employers stated they ramped up hiring in 2017 and expect to continue adding workers in 2018. Another 4 percent reported slow hiring in 2017 with plans to significantly hire workers in the New Year, and 12 percent want to hire workers but are having trouble finding those with the skills needed for the job. “The lack of skilled workers is a real concern for employers who are looking to expand operations in the New Year. The best prospects for jobs in 2018 tend to be found in technology, healthcare, and finance. These careers are highly skilled professions the typically require college degrees or specialized training,” said Andrew Challenger, Vice President of Challenger, Gray & Christmas, Inc.
“Our hotline can help guide those workers on resources to help obtain additional skillsets for those positions for which they are as yet unqualified,” added Challenger. Another 4 percent of employers plan to bring on more temporary workers in 2018. Meanwhile, 20 percent of employers expect hiring to remain slow in 2018 due to soft demand, and eight percent will decrease hiring in the New Year. “Often, employers look to temporary workers to fill open positions. A person in this situation may want to give us a call to get advice on how to turn that job into a full-time position,” said Challenger. Ten percent of employers reported that they had other plans than the responses given, including that they had hired for future needs in 2017 and would not be hiring in 2018 or that they will hire as much as they typically do in 2018. “The jobs are out there. Job seekers who are constantly meeting with contacts – either through networking with friends and former or current colleagues or setting up informational coffee and lunch meetings – will be the most successful. While technology has made the job search something you can do at home on your computer, meeting face-to-face with actual people is crucial to landing a position,” said Challenger. “These meetings accomplish two things. One, the job seekers is spreading the word that they are looking for work. And two, it gives the job seeker practice on selling themselves, identifying their skills, and relaying those qualifications to another person,” added Challenger. “Our holiday hotline can help job seekers and those who are looking for a change in their careers tips and best practices for their search. 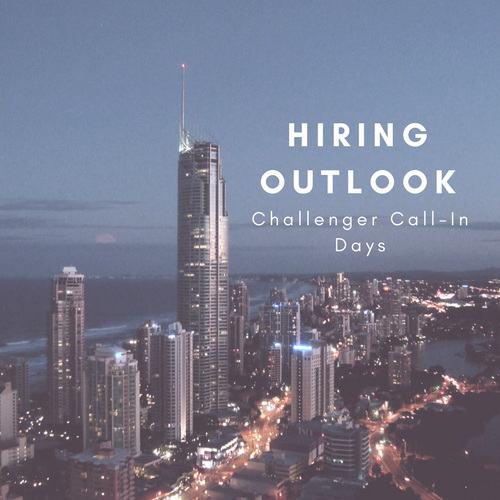 We are experts in this area, so calling is a great step toward bettering your career,” said Challenger.